Two Oregonians, Joe Huddleston and John Weil, have developed one of the most sophisticated bipods you can buy. The new Center Shot carbon-fiber bipod is ultra-light, weighing just 19 ounces (0.55 kg). John Weil used a prototype version at the 2009 F-Class world championships in Bisley, England. John was a member of the USA Team which won the F-TR Team Championship. 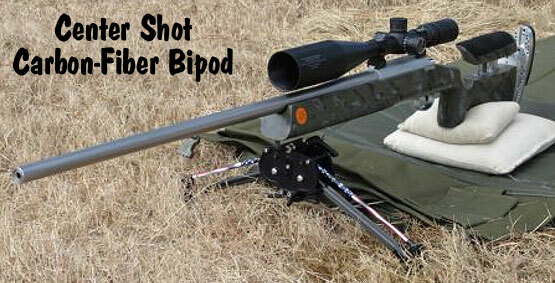 The Center Shot bipod offers a very wide “wheelbase” for stability. The bipod’s long feet, shaped like helicopter skids, help the rifle recoil straight back, rather than hop or twist. The bipod is designed to attach securely via a standard accessory rail on the bottom of the rifle’s forearm. The bipod can easily be adjusted for height and cant (tilt angle), allowing the bipod to adjust to uneven terrain. The height adjustment also allows shooters to easily adapt the bipod to their rear bag height and shooting style. The Center Shot Bipod comes in two versions. 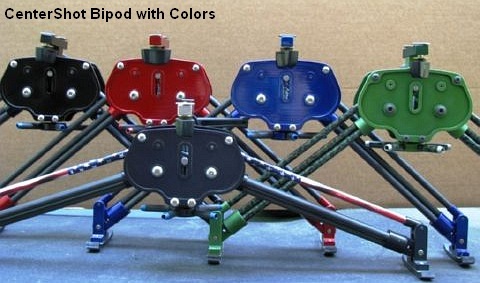 The basic model costs $450.00, while for $465, you can get one with the shooter’s national colors on the top rod assembly (see photo below). For more information, email joe [at] censhot.com or john weil at jhw1 [at] ix.netcom.net. You can also call (503) 622-3815, or write: Center Shot Engineering, 26810 E. Elk Park Rd., Welches, OR 97067. Continuous adjustment from lowest to highest setting. 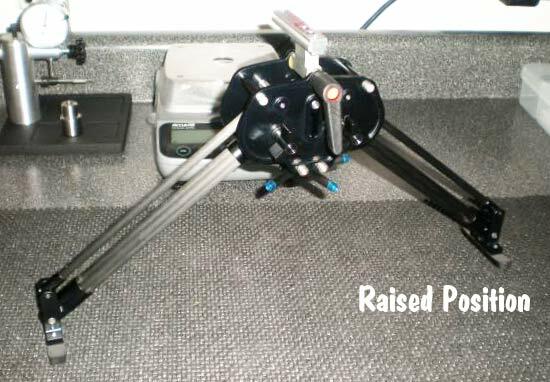 Share the post "High-Tech Carbon-Fiber Bipod for F-TR Competition"